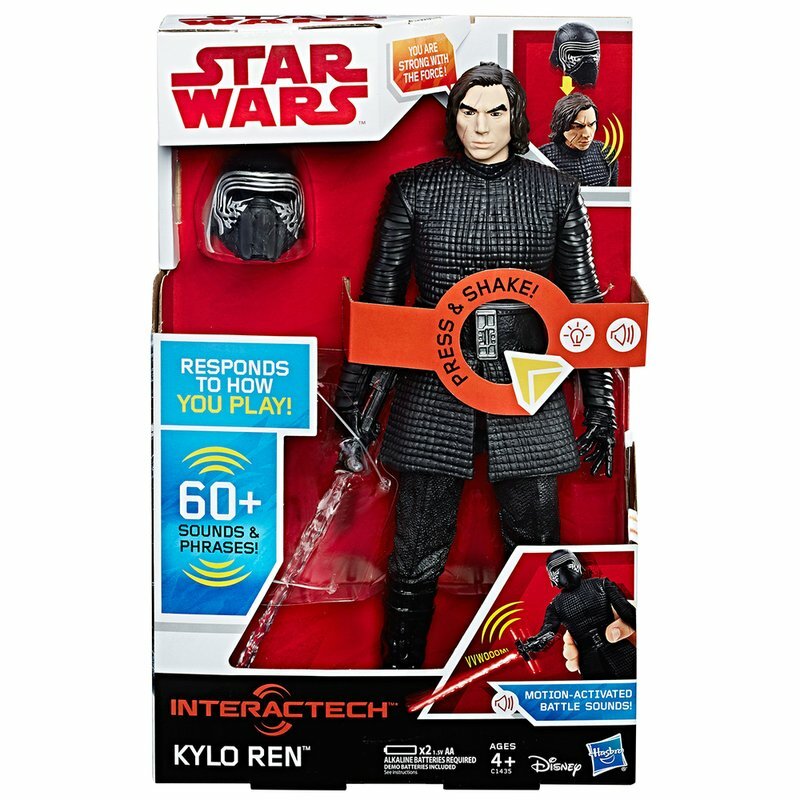 With over 60 different sound effects and phrases, the Interactech Kylo Ren figure uses a motion sensor to respond to specific movements and activate awesome battle effects. Equip the figure with the included lightsaber accessory to see it light up, or put the helmet on the figure to hear phrases and battle sounds! Press the button on the figure’s chest to activate effects and imagine sending Kylo Ren storming into battle! (2) 1.5V AA alkaline batteries required. Demo batteries included. See instructions.